Earthworker Cooperative brings together people from diverse backgrounds in practical action to solve the social and environmental problems faced by communities and the planet. We provide common ground where trade unionists, environmentalists, small business people and others work together in common cause. Our goal is to establish a network of worker-owned cooperatives committed to sustainable enterprise throughout Australia. We believe social and environmental exploitation are intertwined, and that the problems of climate change, job insecurity and growing inequality must be tackled simultaneously, through greater grassroots economic ownership. Earthworker’s pilot project is the establishment of Australia’s first worker-owned factory, making renewable energy appliances and components. 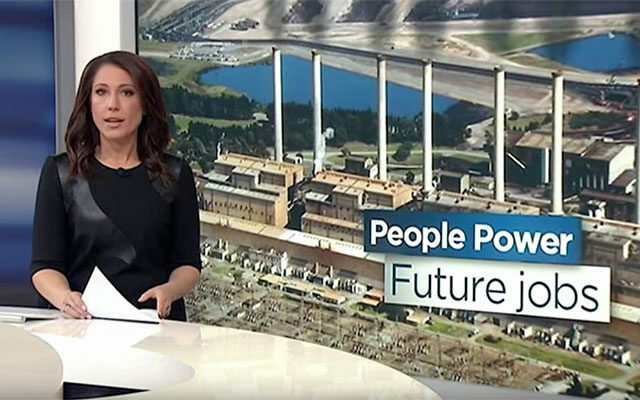 Located in the heart of Victoria’s Latrobe Valley, the Earthworker Energy Manufacturing Cooperative (formerly Eureka’s Future) is part of ensuring a just transition for communities affected by the move from fossil fuels to renewable sources of energy. Earthworker’s second worker-cooperative is the Redgum Cleaning Cooperative – offering green-cleaning services in Melbourne today! You can read more about the progress of Redgum on our blog, here. Earthworker needs you. Become a member today! ABC News reports on Earthworker’s practical plan to create sustainable manufacturing jobs. Click on the image to watch the video. 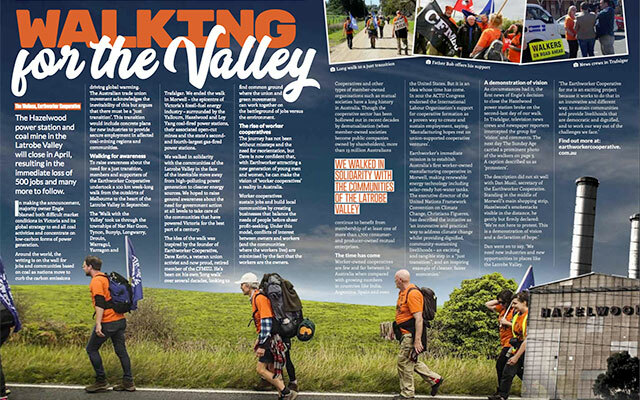 Earthworkers undertook a 100km walk in 2016 to show our solidarity with Latrobe Valley communities. Click on the image to read more. 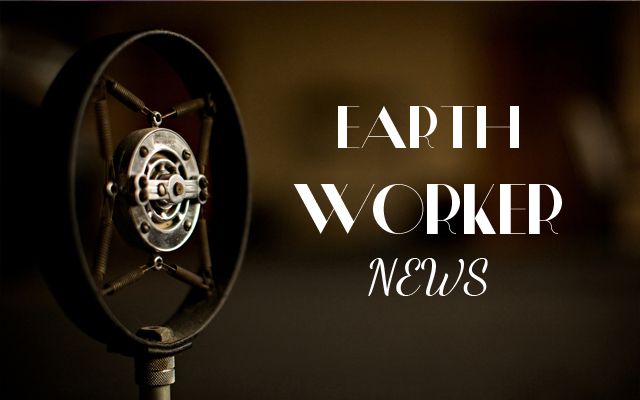 Click on the image to receive news via email about Earthworker activities and developments in the mission to grow a cooperative economy.